Four films by Ardavazd Peleshian will be screened on November 15, 2017 at Silk Road Hotel, hosted by Folk Arts HUB Foundation. The films are Mountain Patrol, Inhabitants, Seasons of the Year, and two very-shorts from the early 1990s, Life and End. 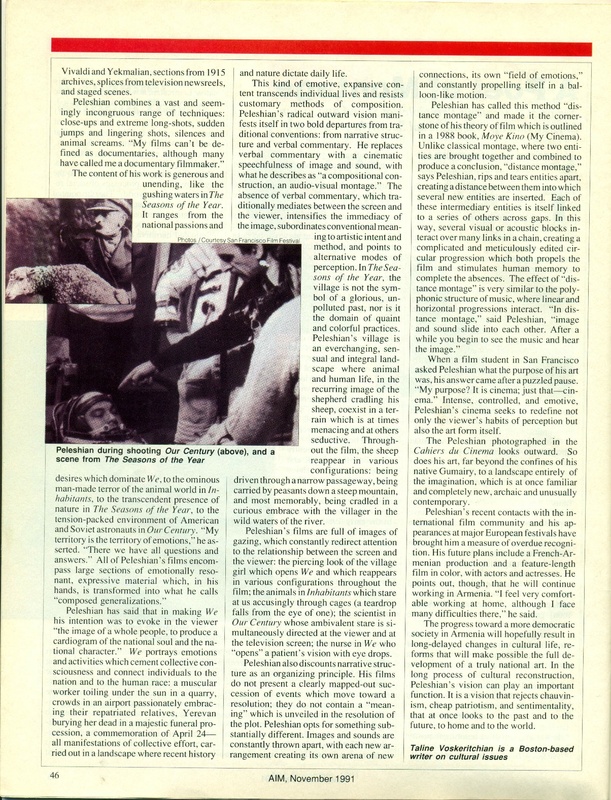 I’m re-posting an old article of mine from 1991 on Peleshian’s art. Some of the material is dated, true. 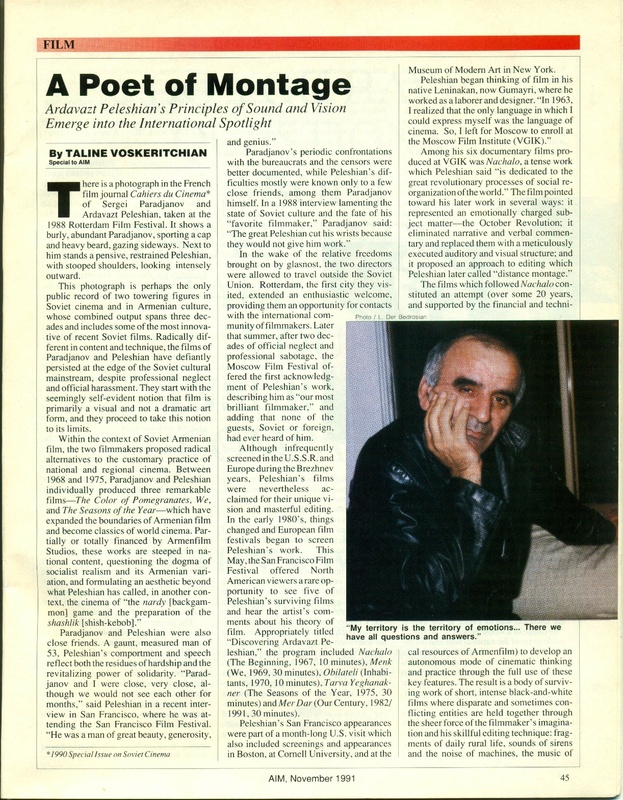 But Peleshian’s vision is as new and groundbreaking today as it was decades ago, when US audiences first watched his films in San Francisco, Boston, and New York. 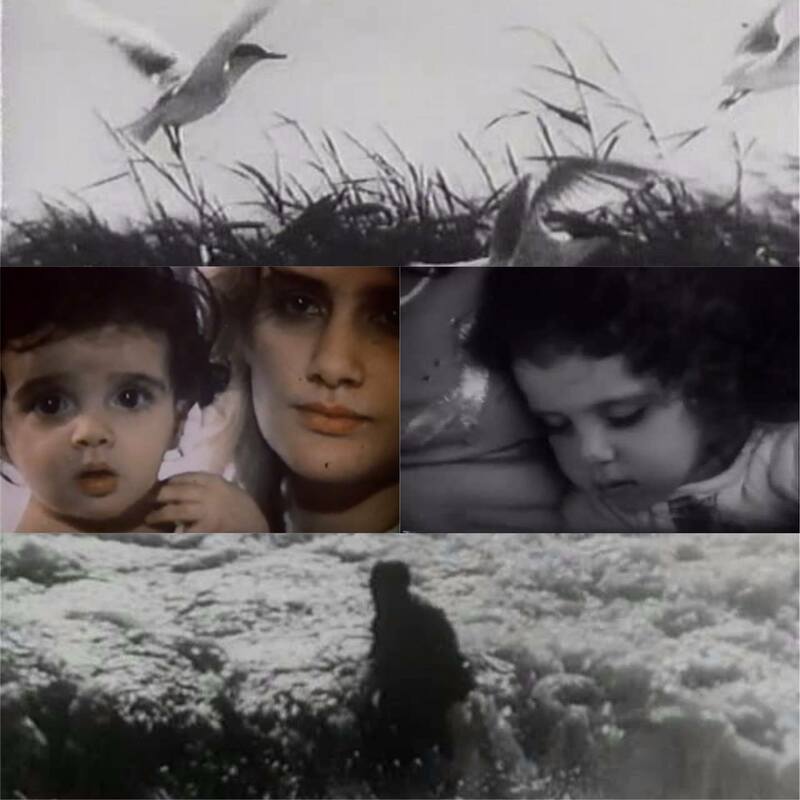 This entry was posted in Armenians, Cinéphilia, From My Files and tagged Arthur Peleshian, distance montage, paradjanov, Soviet films, The Seasons of the Year, We. Bookmark the permalink.